No matter how old your children are, their birthday is always exciting for them and fun for you as a parent. You get to delight in watching them grow older and feel special on a day dedicated just for them. Planning the details of a birthday party is fun for parents as well. A bouncy castle, petting zoo, or a trip to a theme park can all be great ideas for a kid’s birthday party. But what if you decided to do something extra special for your child’s birthday by taking them along with some friends and family to Niagara Falls? 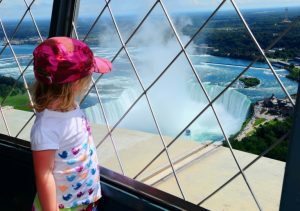 As one of the most family friendly vacation destinations in the world Niagara Falls is full of activities that will make your child’s birthday one they’ll never forget. Of course, the idea will probably appeal more to older children but even a celebration for a young child in Niagara Falls can be a lot of fun. 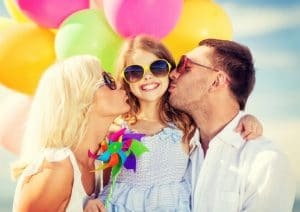 Regardless of your child’s age these are just a few of the many ways you can make your child’s birthday in Niagara Falls a wonderful experience for everyone involved. What child wouldn’t love to celebrate their special day at a waterpark? One of Niagara’s top attractions is the Fallsview Indoor Waterpark which is open all year, even in the dead of winter. Filled with slides, wave machines, and other watery fun your child covering a total of three acres, their friends, and even the chaperoning adults are guaranteed a great time. Fallsview Indoor Waterpark’s birthday packages are a great way to celebrate and be sure that all details are taken care of. The staff will arrange for a table for your party, snacks and drinks, and much more. They even offer a downloadable custom invitation that your child can send to their friends. It’s a wonderful way to celebrate and really make a splash. Niagara Falls is well known for its world class dining and is a change maker in the farm-to-table movement. Most of this will probably fall on the deaf ears of your child who loves pizza and french fries, but rest assured that Niagara is also home to restaurants that kids will love. The Flying Saucer Restaurant is exactly as the name implies; the building is constructed to look like an out of this world flying saucer and the food could fall under that same title as well. The menu features diner style appetizers and entrees that kids will love as well as milkshakes and yummy desserts. There’s plenty of grown up fare on offer as well such as steaks, salads, and seafood. Be sure to contact them in advance so they can help you create the birthday dinner your child will love. If your child is the type who would love to celebrate their birthday by playing games with their friends then Adventure City in Niagara Falls is the perfect spot. A throwback to the arcades of years gone by, Adventure City offers more than 100 classic arcade games in a 17,000 square foot space. They can play to their heart’s content, collect tickets, and win prizes. Adventure City also features rides like bumper cars and a safari themed mini golf course. You could choose to spend the entire day here — something your child would likely wholeheartedly agree with — or make it a part of other activities but regardless, Adventure City should definitely be on the list for birthday events. Of course when you visit Niagara Falls you have to do your best to actually see the falls and there are a number of kid friendly ways to accomplish this. Take a boat ride to the base of the falls for a jaw dropping perspective. Take the Behind the Falls tour for yet another fascinating perspective. Go horseback riding, visit the Butterfly Sanctuary, or visit one of the area’s many parks. While the waterparks and arcades are always fun it’s always important to get outside and appreciate the beauty of the falls and the surrounding areas. Niagara is a special place and exploring away from the main tourist zone is a wonderful way to realize that. Of course you’re going to need a place to rest and recharge during your birthday trip to Niagara Falls so which hotel will be the best choice? Many families choose to stay at the Falls Avenue Resort complex which, conveniently enough, is also home to the aforementioned waterpark. All connected under one roof are three hotels, twelve restaurants, and numerous shops and is just steps from the fun and excitement of Clifton Hill. Most of the hotels offer various discounts and packages throughout the year so feel free to contact them to enquire about special rates and offers. Also be sure to mention your stay is part of a birthday celebration; you never know what surprises the friendly staff might come up with. A trip to Niagara is always special but adding a birthday party to the mix just makes it even more so. Consider some of these tips and start planning a birthday your child will never forget.